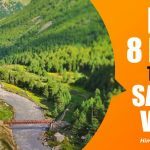 The only Himalayan valley that truly characterizes the Switzerland of India epithet, among all those raved about with this hyperbole, is Sangla valley in Kinnaur. Carved out by sparkling Baspa river, it has ethereal contrasting combination of the right bank view of saw-tooth sharp, high, rocky mountains, cradling villages and houses; and the gentle lush green, rich pine and birch forest covered, mountains on the left bank. 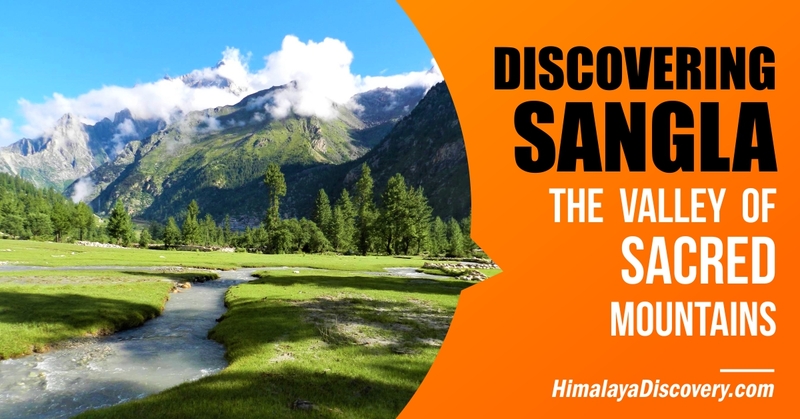 Discovering Sangla, the Himalayan high valley of amazing forms, in the far out tributary valley of mighty Satluj, the land of culture rich Kinnaur folks, doesn’t take more than a day long car, jeep or bus journey from Delhi, through Chandigarh, Shimla, Rampur, Jeori, Karchham. Beginning from New Delhi on the national highway 1 to reach Chandigarh; and taking national highway 22 to reach Shimla; and further on the same high way, now known as the Hindustan Tibet Road, one continues up to Wangtu before taking a narrow branch road along the Baspa tributary of Satluj. As one climbs up slowly negotiating the corniche roads carved out of steep rocky mountains, the first village of the valley, Karchham, gives a sudden appearance. Here the brilliant, wide, meandering, Baspa narrowing into a typical profile knick-point, a cascade, and gushing out in splendid milky rapids below, welcomes you. 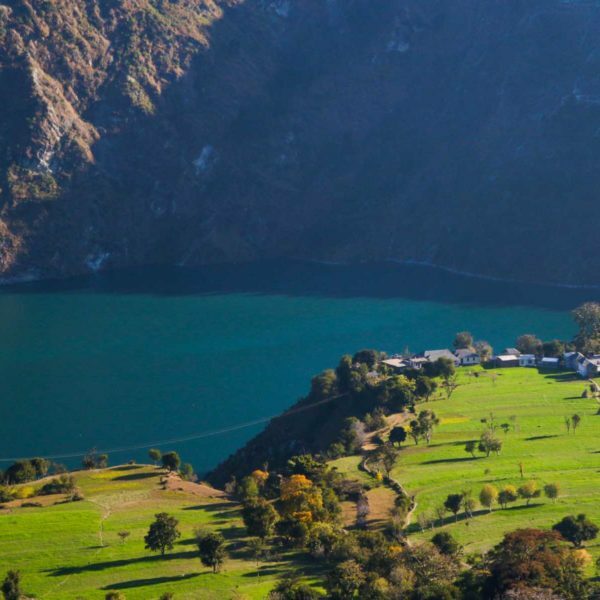 The low lying pine-forests covered hills on the left bank and the lofty neighbouring bare peaks on the other bank, and clear sky lines above the village, enabling one to see the valley in its entire length, everything here fascinates the tourists. 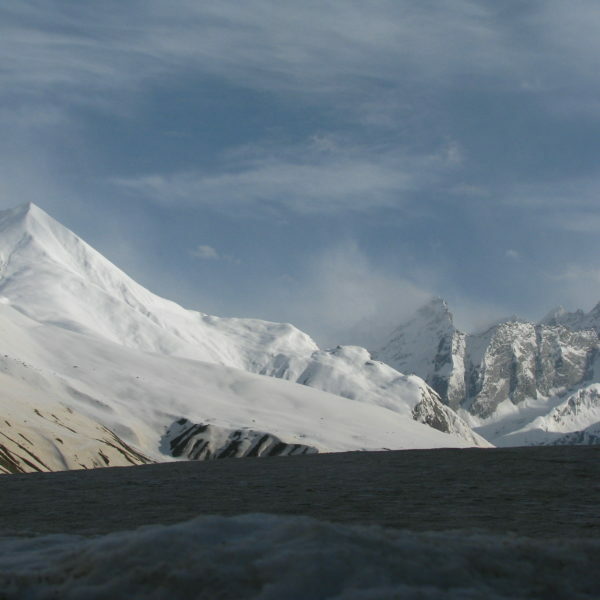 Beginning from this village, the valley is 95 kilometres in length, on an altitude ranging from 1,830 meters, around Karchham, to 3,475 meters at Chhitkul. In the lower Sangla fall the main religious and historical places of Sangla and Kamru. 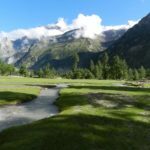 Sangla has the widest valley plain, and is coming up as a tourism township with all administrative, commercial, and infrastructural strength. It has vast expanse of fields all around the town. All that it needs is the caution to prevent it from getting a shanty look with unplanned construction. To make it an equally historical township, it has the Kamru village just in a kilometre’s vicinity. Kamru, with its land-mark presence of the pagoda fort-temple of Kamakhya Devi, known to have been brought from Kamakhya shrine in Assam, is a protector deity of the Bushahar rulers who began to command from there, till later they shifted to first Sarahan and then to Rampur, much later. Present face of this dynasty is Raja Virbhadra Singh, many times CM of Himachal Pradesh, who still owns the royal palace of Sarahan, patronizes the Bhima Kali temple, and Rampur palace. Kamru village also has an ancient Buddhist monastery, making it a typical dual faith village of Kinnaur. The folks here have equal allegiance to the Lamaist Buddhist traditions of Vajrayana, whose main proponent was Padmasambhava, and the Hindu deities and traditions. Interestingly, just as Karchham is gateway to the entire valley, so Rakchham is to the upper Sangla. Rakchham too is a profile knick-point, whereat the otherwise wide river squeezes into narrow rocky cascade that nearly forms a bridge. A conversation with Mr. Naresh Negi, proprietor of Kailash View Camps, brings out that Rakchham is a compound Sangla word formed of rak, meaning rock, and chham, a bridge, i.e., rock bridge. 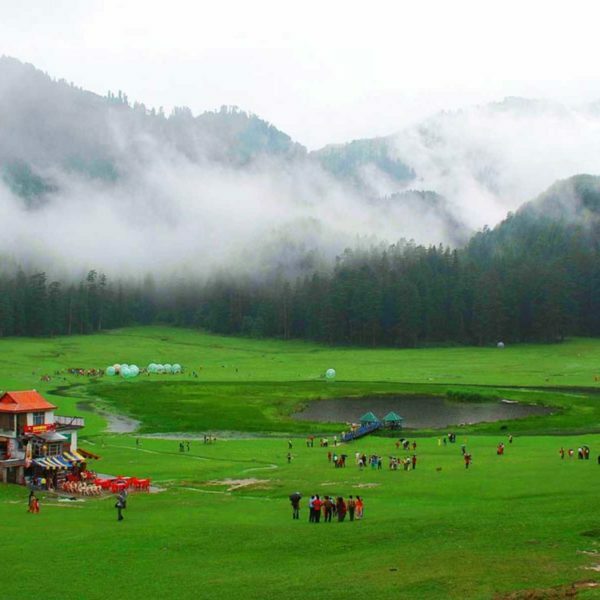 Rakchham is a chocolate-box, idyllic, village nestled by a rocky hillock, founded on the flood-boulders strewn slope, facing the other bank view of wondrous green-slopes with meandering tiny brooks emerging from rich deodar forests above. Above these slopes is a land form of legend: the divine bow, a land formed by glacial and river erosions, with a back-ground of snow covered massive mountains, which comes out as perfect bow-silhouette against a golden snow view when the first morning lights fall on this mountain. These slopes make heavenly tent-camping sites, and winter sports resorts. Immediate after crossing the bridge there is fascinating Kailash View Camps run by an enterprising local ex-ITBP man, Shri Naresh Negi. Within affordable tariff, he provides excellent luxury camping by the riverside. The Banjara Camp of Captain Anil Sood’s brainchild, near ngla, is the pioneer of tent camps in the valley. The road trails beyond Rakchham are full of beautiful sights on both sides. The charms of the left bank mountain scapes intensify, and the terrains of the right bank gives one good feel of a wonderful ride through the forests of Mastranag, the flood-slopes, crossing glacial river stream bridges; and finally passing through beautigul villages glimpsing from amidst apple orchards and potatoe, and off-season vegetable fields. The eye-catching lush-green left banks, thought less habitable, have two tourism villages of Chansu and Batseri. 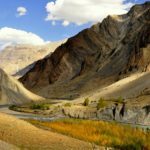 The valley ends at Chhitkul, a typical Himalayan base-camp settlement eyeing on the mule and horse caravans, the herdsmen, and traders and travelers heading to cross a high pass opening to another important region. One sees the trodden path routes winding through the hills above, and through the valley to the east, and thick birch forests covered mountains on the other bank. Chhitkul is route to Yamrang Lah and Chung Sakhago Lah in the river Baspa’s upper course. The snow covered, high, mountains in the east and north and south impart the village an other-worldy look. The word Chhitkul is believed to have come from chhit and kul, which means soil, and kul, respectively. This makes sense as one sees the sparkling icy brook that cuts trough the middle of the village, which is settled on an old mud-flood of glacial erosion and the stream. 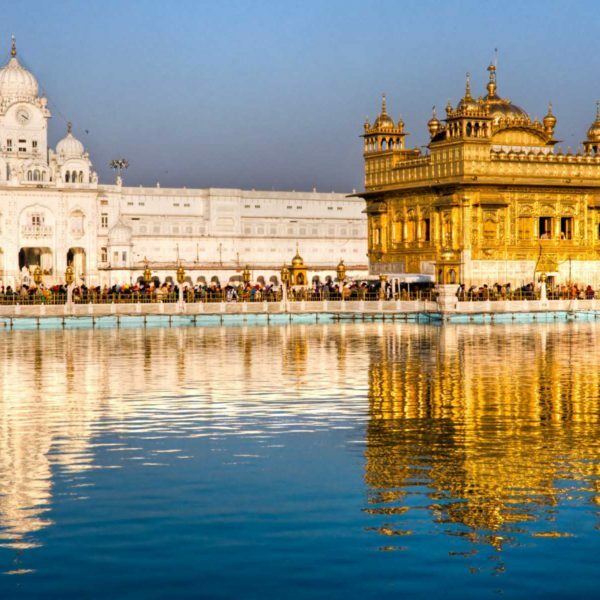 Still another plausible interpretation lies in reading the word as a combination of Chheh, i.e., six, and kula, i.e., lineages, perhaps, meaning the six families that founded the village. The dialect spoken in Chhitkul is a strange mix of Kinnauri, Hindi, English and even Sanskrit. The legend about it is, as shared by Mr. Shyam Negi of the towering Panchali Hotel and Restaurant at Chhitkul, when God went around distributing languages to people, all His stock had finished by the time He reached Chhitkul, affording only a concoction of all imaginable tongues. But the linguist’s explanation can be found in the village’s having been founded by early Gardhwal settlers, and the influences of the Kinnauri dialects, traders, explorers and herbs gatherers, thousands of tourists visiting from all over the world. Though categorised as a Tibeto-Burman language, it surprises the linguist in me to know, from Shri Naresh Negi of Kailash Camps, the literal meaning of Rakchham word; and that Kam gora? And Kim gorea in Kinnauri means: Where are you going? Look at the striking Sanskrit(kam /kim; and English roots of go! While in the valley, one must eye on visiting tourism villages and their architecture, temples, the unique female dresses, ornaments and the charming beauty of the people; a local deity in a session of answering people’s queries on problems through an oracle. 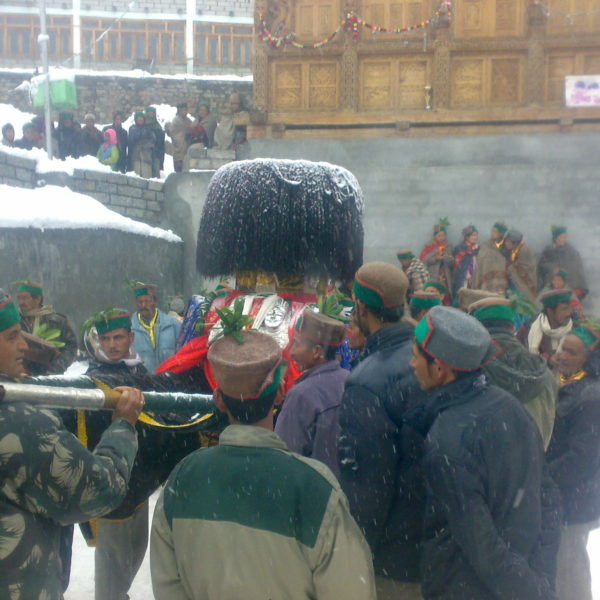 Witnessing the flower festival of Phulaich, celebrated in the villages, will be a good idea. 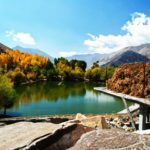 Trout fishing in the Baspa river has been attracting people to come driving straight from Delhi enjoy fishing for several days and drive back to reach Delhi by evening. 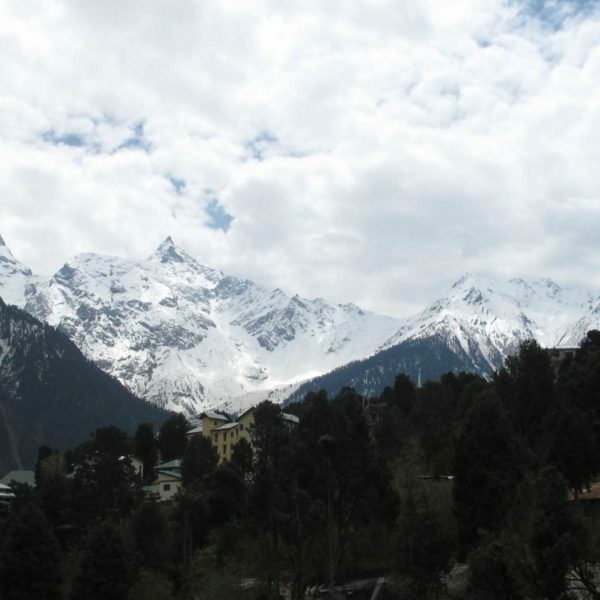 A one day track to Ranikanda, or to Baspa’s tributary valleys, such as Rupin, will be of an immense joy. 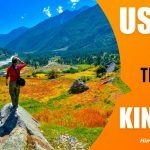 Or just a simple trek along the valley trekking from Rakchham to Chhitkul can be a befitting sight seeing and photography experience. This valley is ideal for mountain marathon runs and walks for its light traffic and picturesque trails with crispy air. 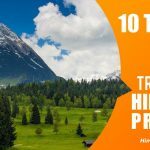 One day long trek along the river Baspa’s left bank sylvan trek above Chhitkul to enjoy one of the biggest alpine birch forests of Himachal Pradesh is something one should look forward to. River rafting between Mastrang and Rakchham have been explored and can pick soon. One must take home Kinnauri woollens of shawls, dodu, caps, mufflers; aromatic and medicinal herbs roots and flowers that may be available just to satisfy one’s curiosity. These include patish, fragrant juniper leaves; birch(bhoj-patra) barks. One may even try local brew of rice and barley chhang drinks; and local grape wines. Local pure ghee can be a good purchase. The Sangla Food Court Festival, which is becoming popular, if one is able to catch up with, would be a great occasion to devour local delicacies. Gyuma, a local Himachali sausage of unique ingredients, fresh-blood and flour filled intestine of goat or ship, is a popular food. 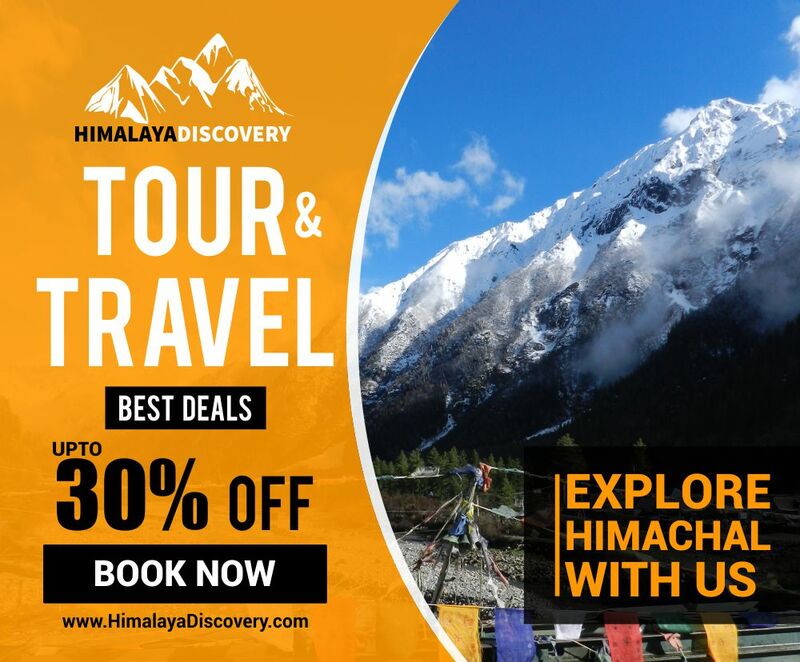 Himalayan Discovery India was established in the year 1997.The company is run and managed by Mr. Naresh Jishtu, the National Trekking and Mountaineering instructor with the aim to offer a unique and offbeat journey to the relatively unexplored destinations in the Himalayas. In the last ten years Himalayan Discovery India has been able to serve clients from all across the globe.